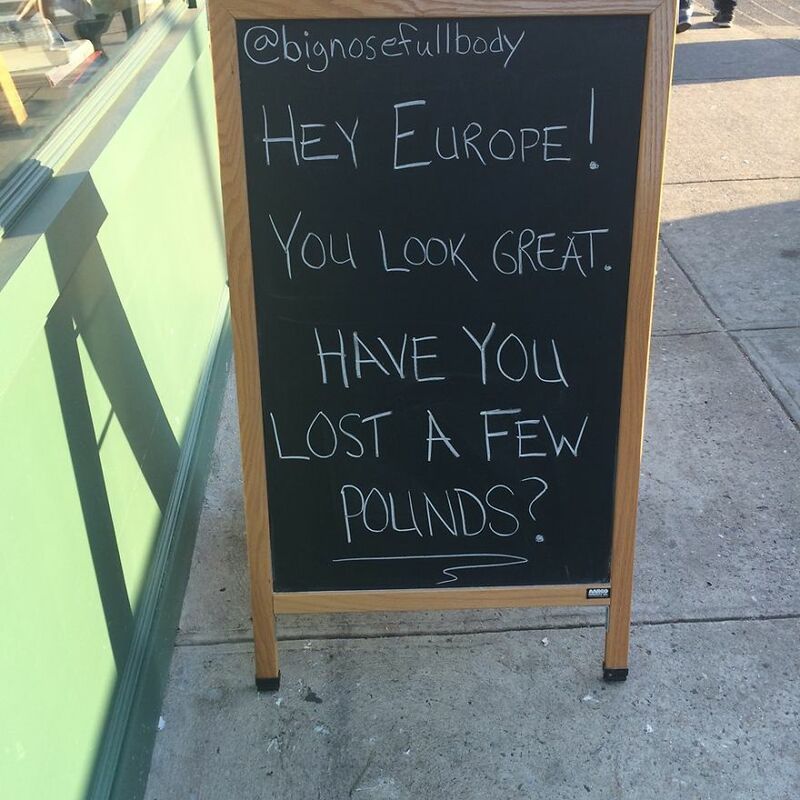 This sign was spotten near Big Nose Full Body liquor store by David Gallaher in Brooklyn, New York. Looks like “EU just won more espace. Exactly 1 GB,”.